7. How good is my credit? Banks today want pristine credit, and just a few points can make the difference between a good and a great rate on a loan, says Curtis Arnold of CardRatings.com. For a quick sense of where you stand (for free! ), you can't beat Credit.com. Click on the Credit Report Card and answer a few questions. The site will pull your credit report (a "soft" inquiry that doesn't hurt your rating) and give you a grade of A+ through F on each relevant factor, plus tips on how to improve. A Money staffer learned she can't score A+ across the board unless she proves she can handle another loan. 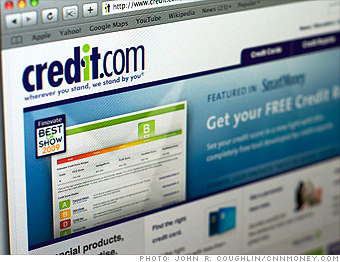 Try this too: Creditkarma.com lets you see how changing one factor might affect your score. NEXT: 8. How can I find a better-paying savings account?